Christmas Eve Recipe - emma and co.
1. In large saucepan melt butter over low heat. Add marshmallows and stir until completely melted. Remove from heat and add food coloring. 2. Add cereal. Stir until well coated. 3. Using 1/4-cup measuring cup coated with cooking spray portion cereal mixture. 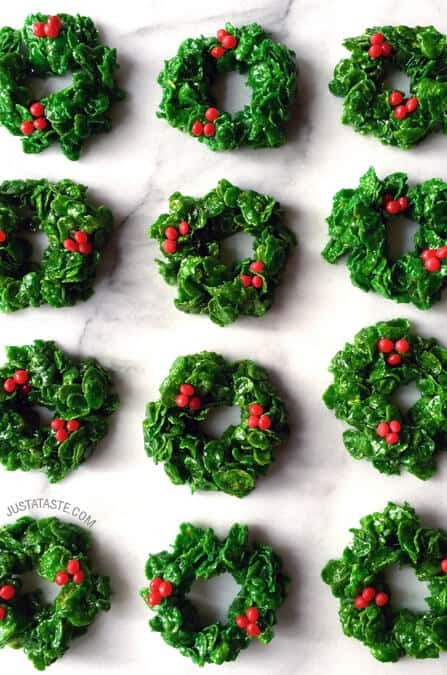 Using buttered hands each portion into small wreath. 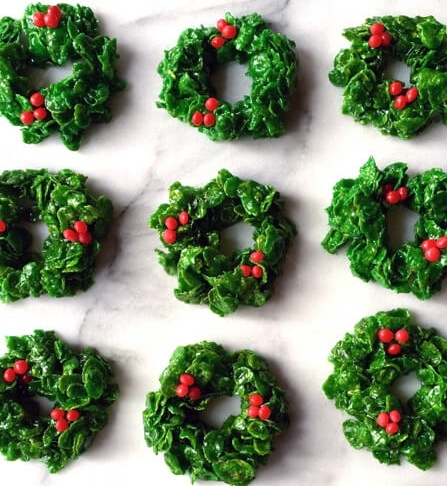 Decorate with frosting and/or candies. Best if served the same day.